Sam jumps in the water and pulls Jason to safety. Jason refuses to go the hospital to be checked out, despite injuring his ribs and having hypothermia. (Is it wrong that I want him to develop some internal bleeding?) Sam says he&apos;s coming home with her so she can take care of him. Carly and Sonny warn Josslyn about these adventures with Oscar. Sonny wants her to be aware of the risks, while Carly tells her not to put herself in danger. Oscar&apos;s spending the night in the hospital for observation. Joss pops by to say goodnight and the two share a kiss. Kim says she understands why Oscar feels the need to live his life to the fullest, but he can&apos;t risk his life or Joss&apos;. Oscar promises not to do anything dangerous again, but he also doesn&apos;t want to have any regrets. Curtis meets with Marcus to discuss Stella. Marcus admits that Stella did nothing wrong. He was upset by the situation with Yvonne and Mike, and he took out his frustrations on her. Curtis asks about their past. Marcus explains that when Curtis&apos; father was killed, Stella broke off their engagement and moved to help out Curtis&apos; mother. Curtis wonders why Marcus didn&apos;t fight for her, but he says he couldn&apos;t change her mind. Then, he met Yvonne. Stella brings Mike home after a day at the facility. He has another episode of confusion. When CarSon get home, they notice the behavior. Sonny thinks it&apos;s time to do something about it. 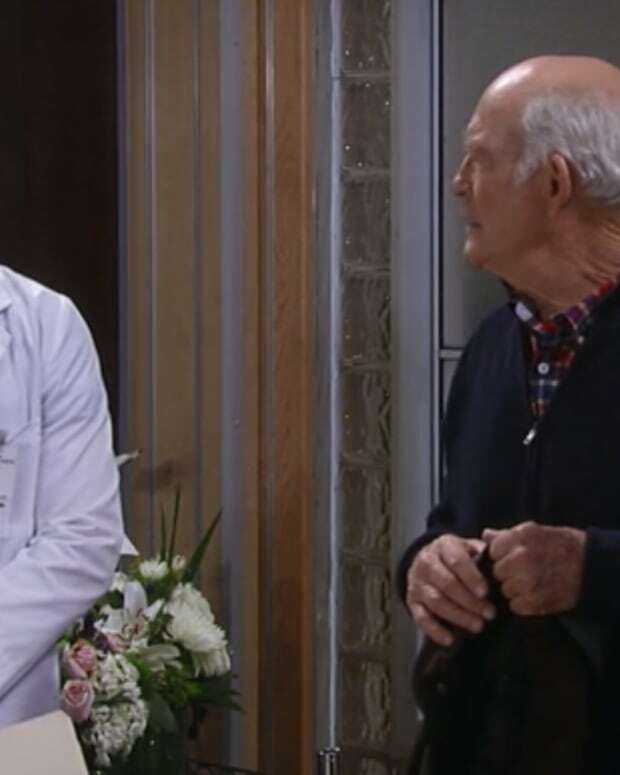 Sonny realizes Mike&apos;s best life is no longer here, with him, and he&apos;s better off at the facility. Carly asks if he&apos;s ready to let his father go. 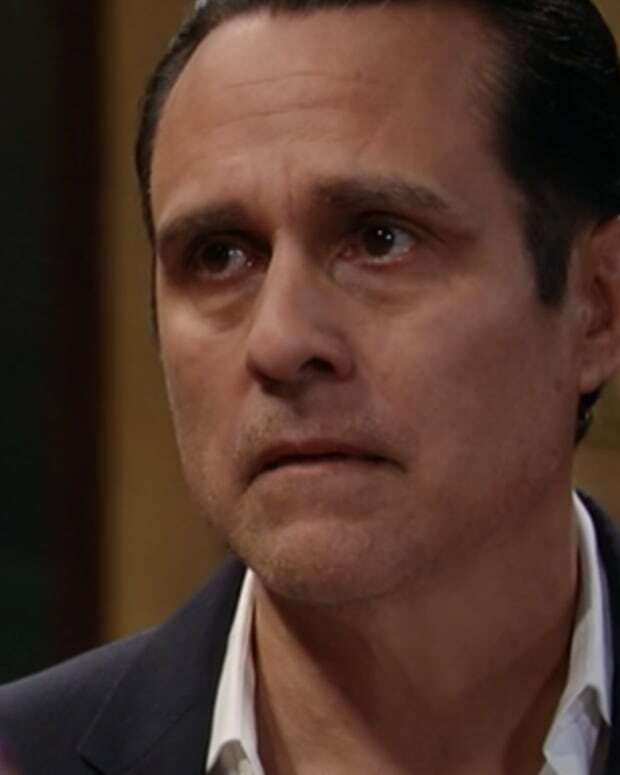 Sonny says it&apos;s hard for him to admit defeat and he needs Carly&apos;s help to do it. Aiden wants to bake cupcakes despite the late hour, so Franco allows it. The cupcakes are decorated with purple flowers and Aiden wants to bring them to school for the kids. Jake tells Franco it&apos;s not a good idea to let Aiden bring them. When Liz gets home, Franco tells her about baking the cupcakes and bringing them to school. Jake interrupts and tells them the kids will make fun of Aiden. He says it will set up Aiden to be hurt and shows them the "Gayden" message on the iPad. Liz says they can&apos;t fight Aiden&apos;s battles for him and they can&apos;t discourage him from being himself. After Aiden leaves, Franco asks Liz if she thinks Aiden is gay. Liz says it wouldn&apos;t surprise her if he was, but it&apos;s something he&apos;ll need to discover by himself. Sam jokes to Jason that she rescued him from the water. Then, she seriously tells him how she went into the water the night he "died", but couldn&apos;t save him. She says she had a recurring dream about trying to save him. The two share a kiss, make love, then declare their love for each other.